Everyone seems to have lobster fever this time of year, so starting September 1, 2015 and concluding September 7, 2015, we’re going to run a Lobster Dish of the Day to let your eyes feast on some interesting lobster dishes and to tell you where in Connecticut you can find them. Bill’s Seafood in Westbrook, also known as Bill’s Seafood at the Singing Bridge, has been a popular gathering place for seafood seekers for decades. 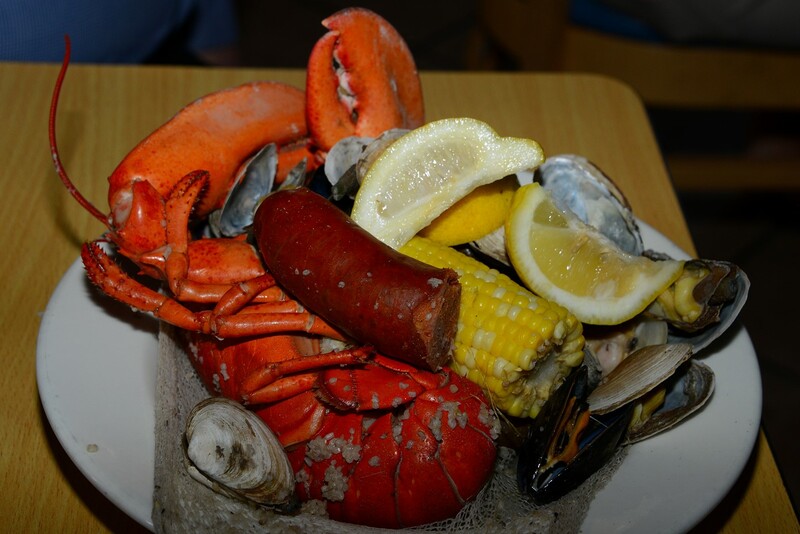 Our search for local lobster dishes brought us to Bill’s steamed Westbrook shore dinner in a bag, which consisted of a one-and-one-quarter-pound lobster, steamers, mussels, red potatoes, corn on the cob and chorizo. How fun is that! THE VERDICT: Bill’s Seafood in Westbrook is a popular place for both tourists and locals, thanks to items like its steamed Westbrook shore dinner in a bag. FEEDBACK: Tell us about your dining experience at Bill’s Seafood in Westbrook.